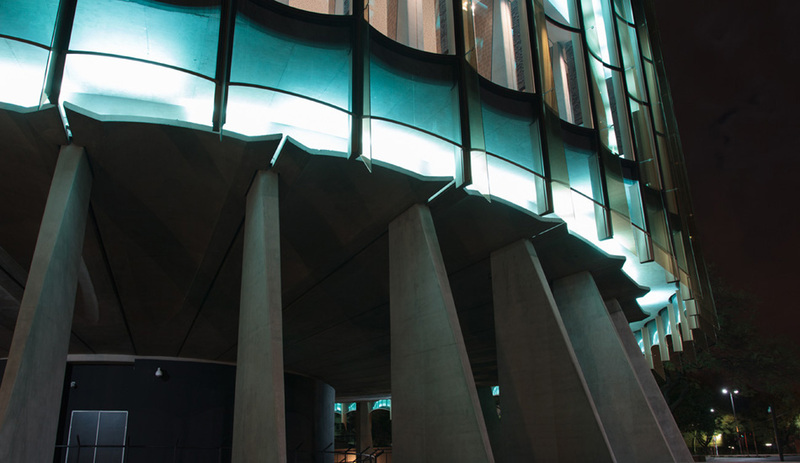 The new council chamber for the City of Johannesburg was conceptualised as part of a larger precinct proposal for the Metro Centre in Braamfontein, Johannesburg. 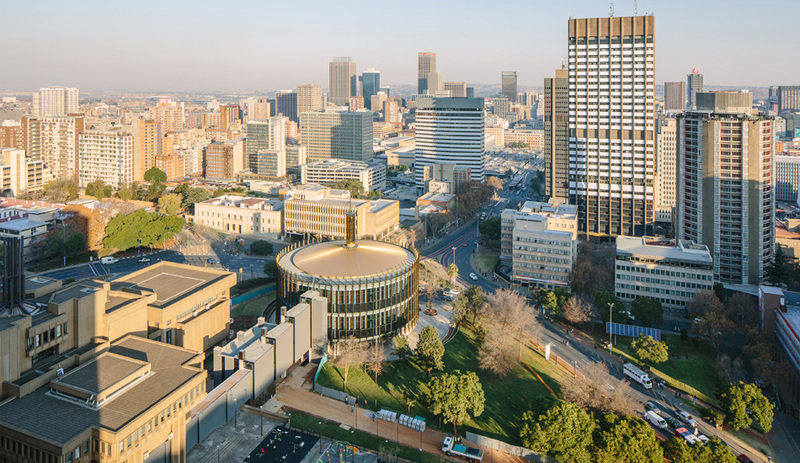 The Metro Centre Precinct upgrade seeks to re-inforce pedestrian links between the areas of Hillbrow and Berea with Braamfontein and Wits University, and to knit together existing civic campuses of the Metro Centre, Constitution Hill and the Joburg Theatre. 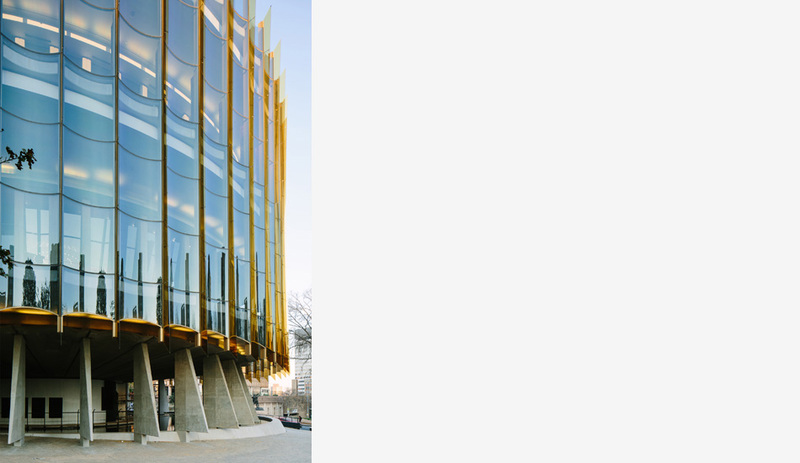 The new chamber building is a catalytic element for the redevelopment of this important precinct, and is situated prominently at the northern end of Rissik Street, is in walking distance to Park station and 2 Rea Vaya bus stops. The brief from the city called for a larger chamber to house all the city ward councillors, with sufficient seating space for members of the public and the media. The form of the building is derived from the design principles of dialogue, transparency and accountability, and is a representation of inclusiveness and participation in post-Apartheid South Africa. 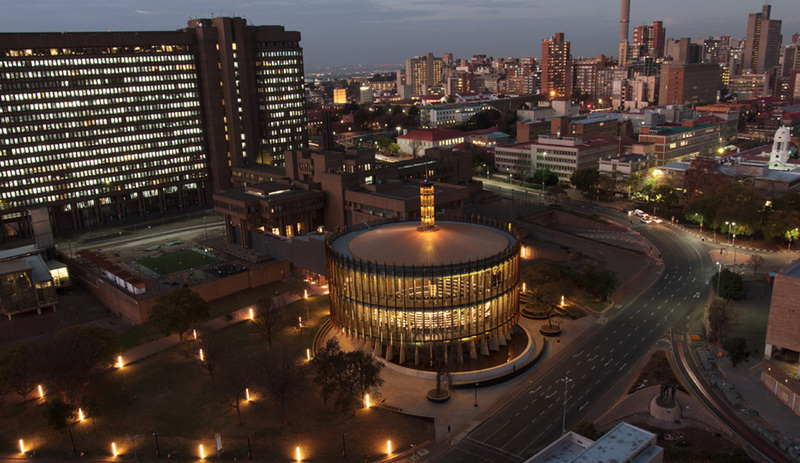 The building&apos;s round plan is drawn from the forms of the Setswana &apos;lekgotla&apos; and the Roman &apos;agora&apos;, both traditional meeting places which promote all voices equally, democratic dialogue and fair decision-making. Resilience was a primary criteria for the design of the chamber&apos;s conferencing computer system. The state-of-the-art touch screen system promotes a paper-less environment and has integrated document management and voting functions. Consumption of water and energy are monitored by a Building Management System, and displayed in the foyer of the building. 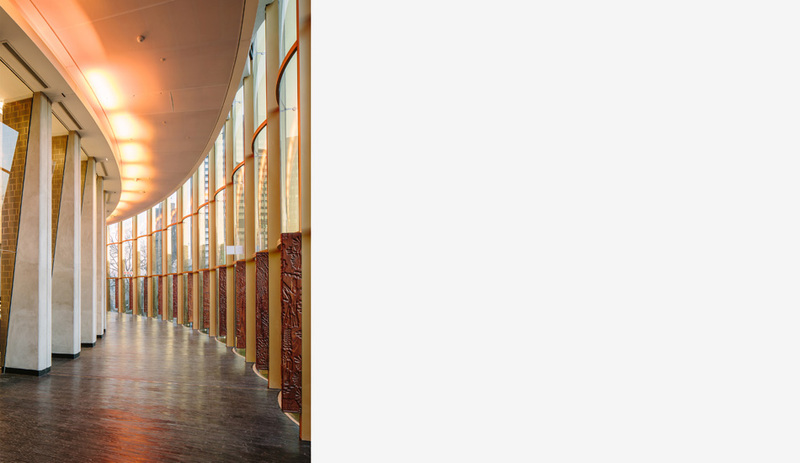 The design of the joinery elements, the soft ceiling material, angled internal glass facades and angled glass gallery balustrades, were just some of the design strategies employed to create an optimally-performing acoustic environment. The materiality of the chamber speaks directly to the space-making principles guiding the brief. 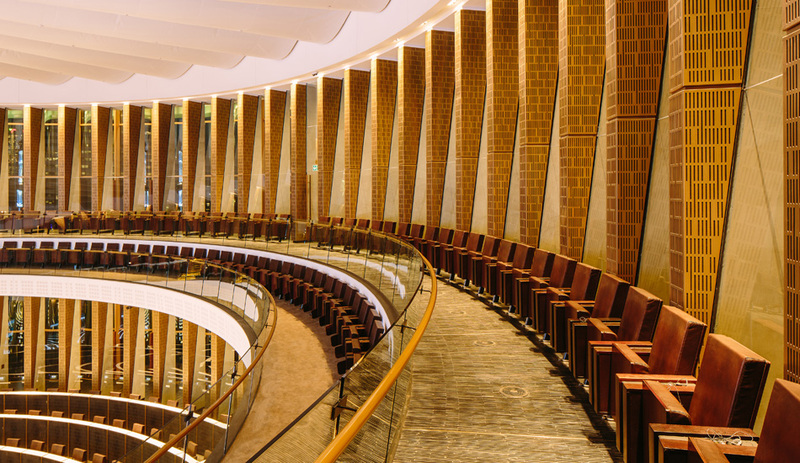 The curved glass envelope facilitates a visual link between the councillors and the public, while still complying with the strict protocol requirements of the chamber proceedings. 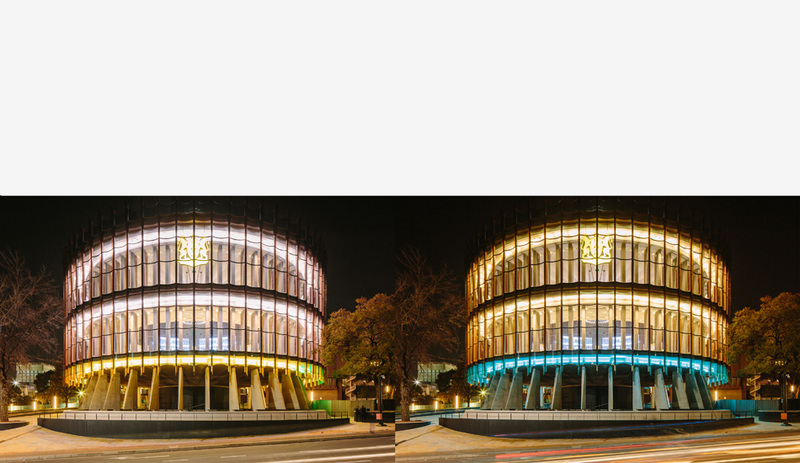 Gold-coloured accent materials have been chosen to pay homage to the city&apos;s gold mining history, thus making the building a representation of &apos;Egoli&apos;, the city of Gold.